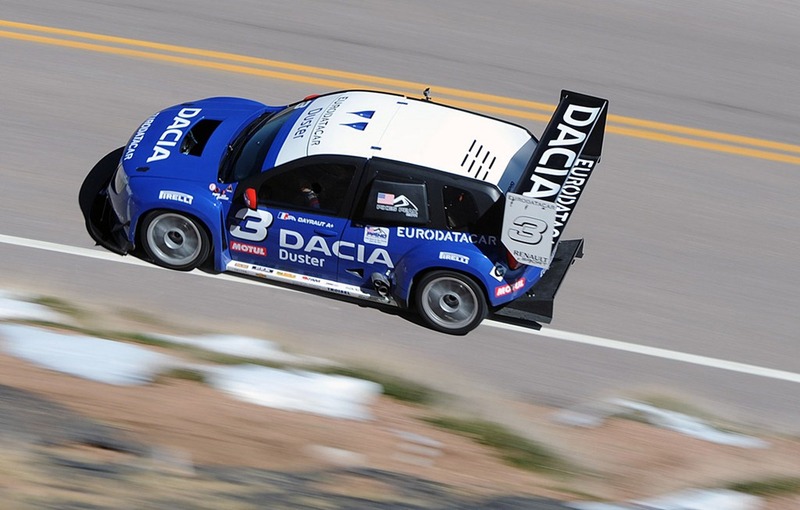 The Dacia Duster No Limit competed successfully in the Pikes Peak race, where it managed to be ranked third in the Unlimited category, for the most powerful cars at the start line. Although Jean Philipppe Dayraut hopped to obtain a time less than 10 minutes on the 19.99-kilometer race, but the Duster obtained only 10 minutes and 17 seconds. The Romanian SUV was ranked behind Rhys Millen (with Hyundai PM580 – 10 minutes and 9 seconds) and the winner Nabuhiro Monster Tajima (with Hill Climb Special Suzuki SX4). The time obtained by the victorious Japanese was 9 minutes and 51 seconds, and is the new record of the competition. The Duster resources were, however, weaker the the winner, Tajima, whoâ€™s SX V6 engine developed no less than 910 HP. The Start of the Pikes Peak race was given at 2860 meters altitude, but the finish line was at 4,300 meters, which means that the competing cars, nearly 150 in number each year, needed special settings to run in in this conditions of differences in altitude. Please can you transmat us all informations about DACIA DUSTER . I saw his car first hand if he comes back this year to race he it’s going to be a a true race. Summit Turnaround PPIHC.